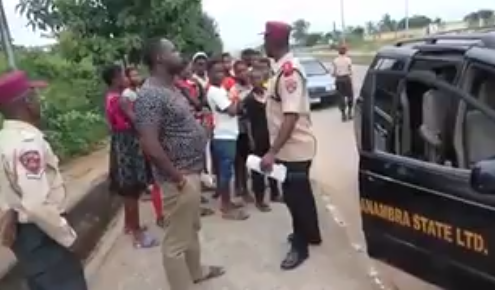 Officials of the Federal Road Safety Commission in Anambra intercepted a black Toyota Seinna car overloaded with 14 underage children. The driver of the car who was apprehended could not give a valid explanation. Watch the video after the cut.